When I was younger I used to love deviled ham sandwiches. LOVED them. I would get so excited when my mom made them for us. I carried those sandwiches in my heart with an air of nostalgia and fondness for years. In college, during my next to last semester, on a whim and with a tight budget, I decided it was time to revisit that ole, humble favorite. I was so excited to crack open that can, spread it on some bread, cut it diagonally and dig in. After lovingly prepping said sandwich, my mouth watered, I bit in… and it was cat food. Deviled ham is straight up cat food. I didn’t entirely hate it, admittedly, but it certainly cast a cloud on those idyllic memories of that smooshed up meat. And speaking of some meat, this week’s menu focused heavily on chicken since we bought it in bulk last week. A star item, which I have eaten 5 times. Yes, 5, is a thrown together chicken wrap that I can’t get enough of. 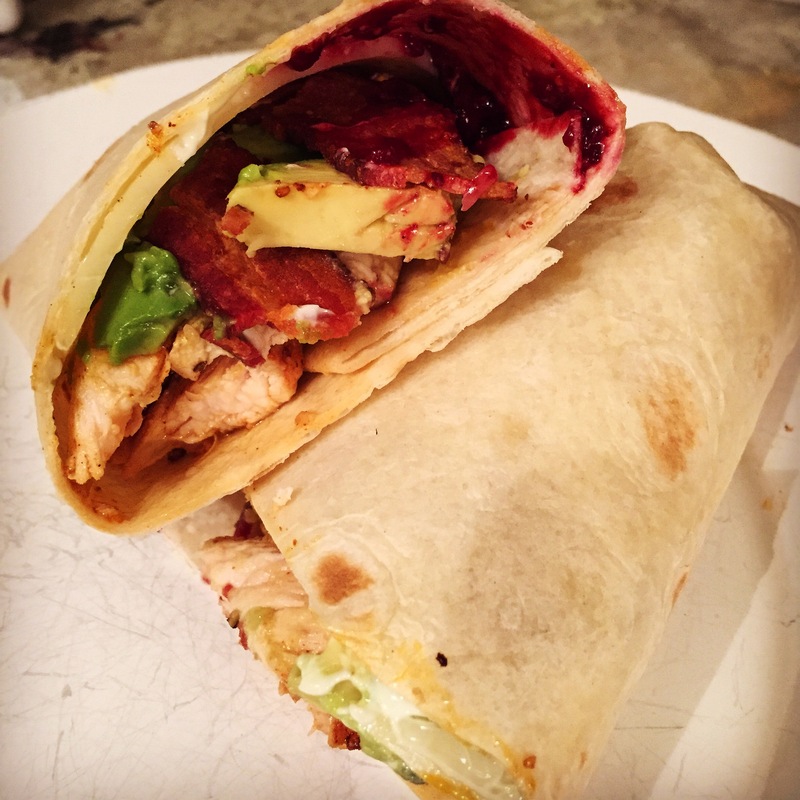 Smoked Paprika Chicken Wrap – Cook bacon in a cast iron pan and drain excess oil. Place bacon on a paper towel lined plate. Season chicken breasts with salt, pepper and smoked paprika, and cook in same bacon-seasoned cast iron. On a tortilla wrap, lightly smear mayo and fruit jam (I used homemade blackberry-fig jam). Layer baby kale (or green of choice), swiss cheese, avocado, bacon and seasoned chicken, sliced. BBQ Chicken Quinoa Salad – Davey really really dislikes quinoa, but I sneak it into our menu every now and then anyway and just make sure he has plenty of leftovers to heat up, while I feast on this delightful and healthy meal. Fiesta Chicken – A forever favorite. 30 Minute Lemon Brown Sugar Chicken – I am never disappointed with a recipe from this blogger, so I’m excited to give this one a spin. Boy Scouts of America Barbecue Pork – we’re a sucker for a door-to-door saleschild.